As part of my bold resolution to blog more regularly, I’ve set myself the goal of sharing a favourite piece of clothing once a month. Once a month seems like a) a realistic timeframe. And b) just realistic. I treat favourite clothes the same way I treat favourite songs: I will have them on repeat until I can’t stand them anymore. 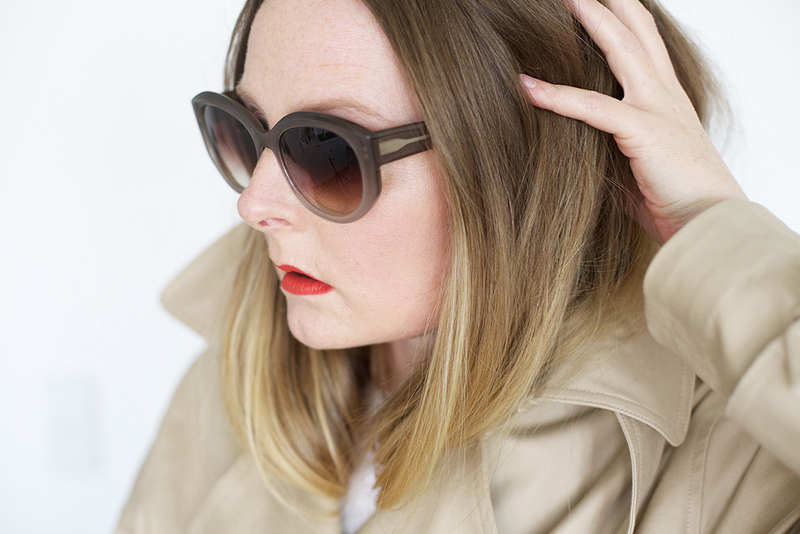 Although I’ll probably never tire of a good trenchcoat. I currently own… five of them. Yes, let’s go with five. Which still sounds like a lot. Isn’t the whole point of a classic that you buy one and then don’t have to think about it again for at least ten years? On the other hand: I wouldn’t wear the same jeans I wore ten years ago either (and that’s not just because I can’t fit into them anymore, but that’s another matter for another blogpost). Even classics change over time and a cut that is on trend one season can soon look dated. 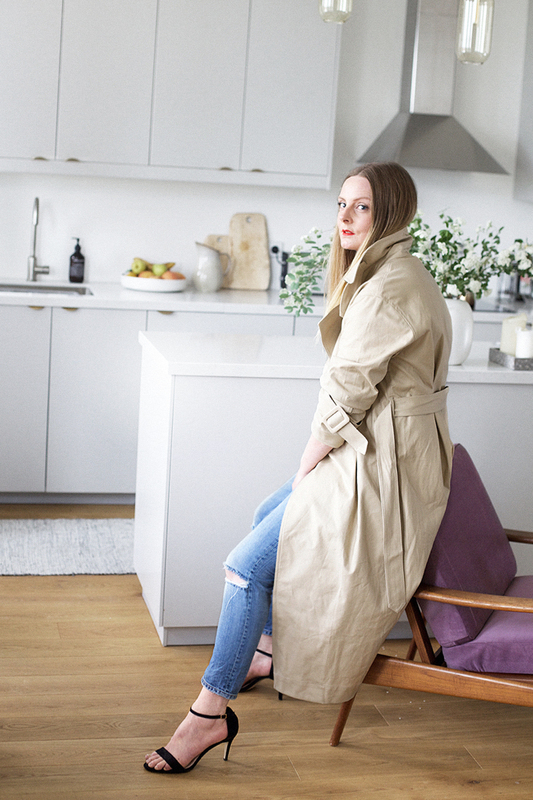 I bought a trench a few years ago from A.P.C. that I’m sure will stay in my closet for many years, but right now it feels too short and snug. 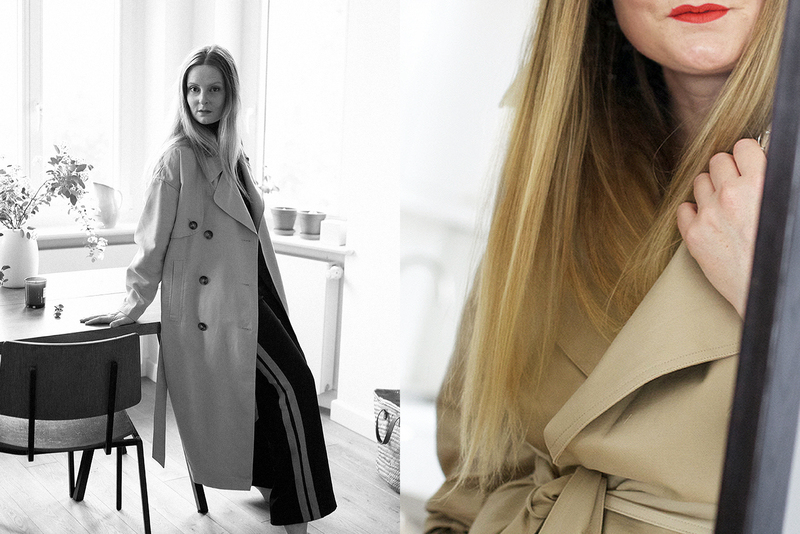 Looking for an oversized and structured trench, I quickly found this one at H&M. Done! If I hadn’t also found this one at WEEKDAY. I tried them on in turns an absurd number of times. In the end, I went for the one from H&M and returned the other one. 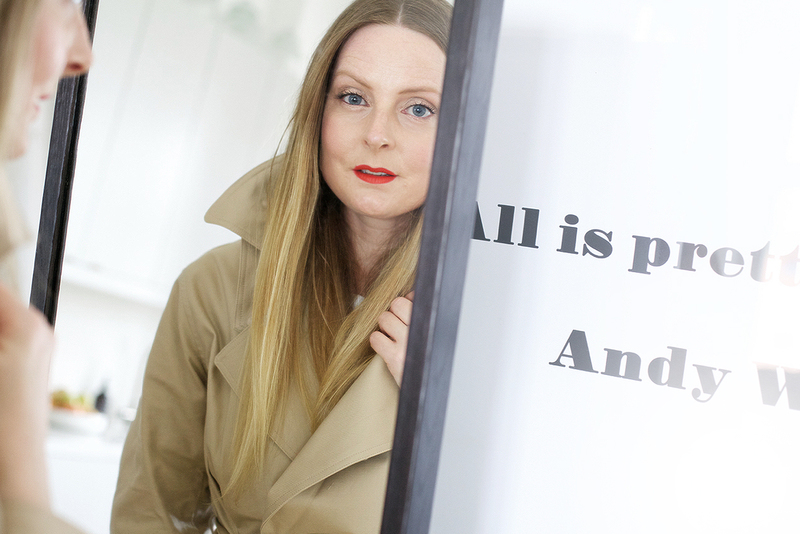 It’s a great coat, just not great for me. 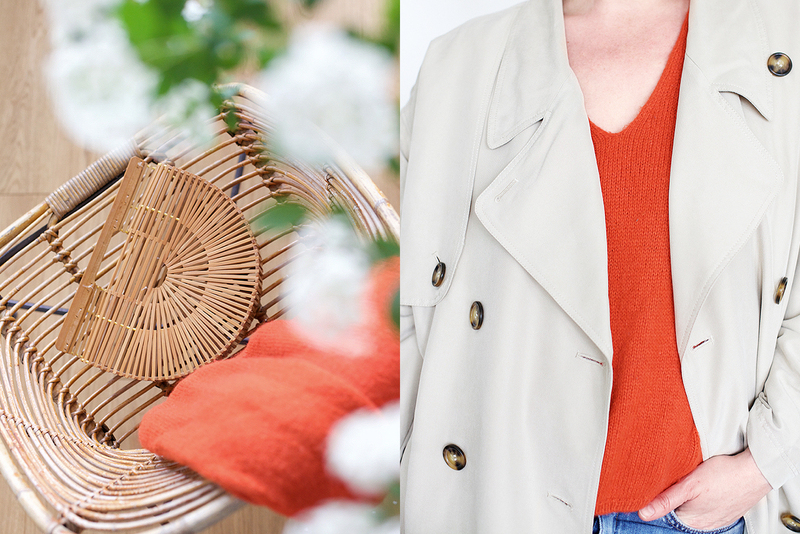 I’ve mostly wearing the one I kept with my other wardrobe staples: jeans, white t-shirts, blue-striped shirts, mostly sneakers and mules, occasionally a pair of heels and often with my beloved Japanese picnic basket (if somebody had said ten years that wicker and bamboo baskets would be the it bags of summer 2017…). And with red. Red lips. Red pullovers. Red nails. Red stripes on my track pants. 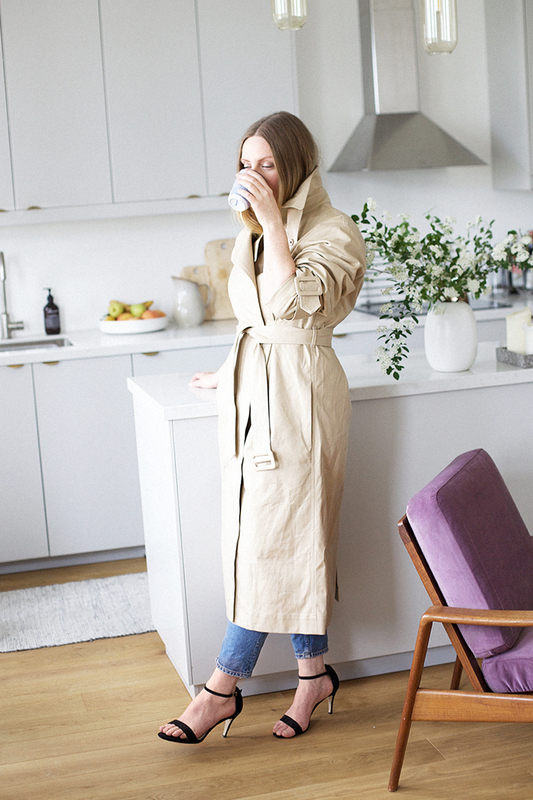 Another reason to like the trench: You can wear it over what basically looks like gym gear and still look put together. 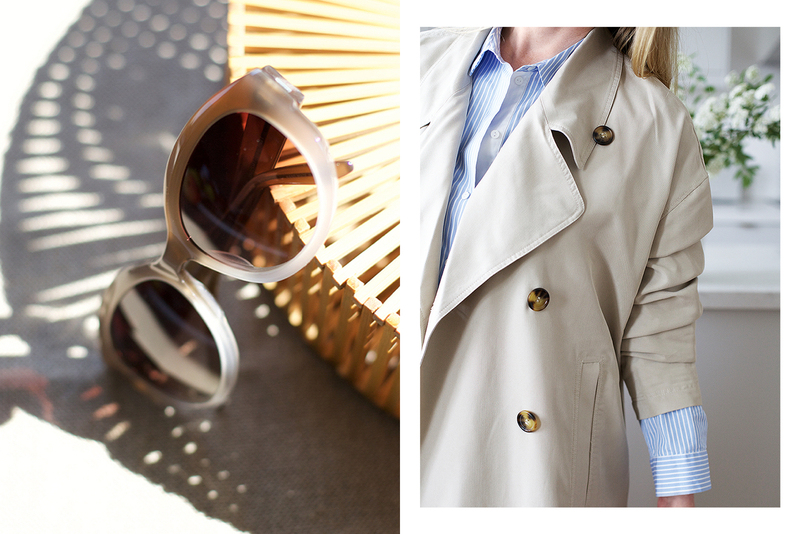 If you’re also looking for a good trench, here are some others I like at the moment: masculine and with pleats from WEEKDAY, in blush from EDITED, in gray from IVY & OAK or classic from A.P.C. 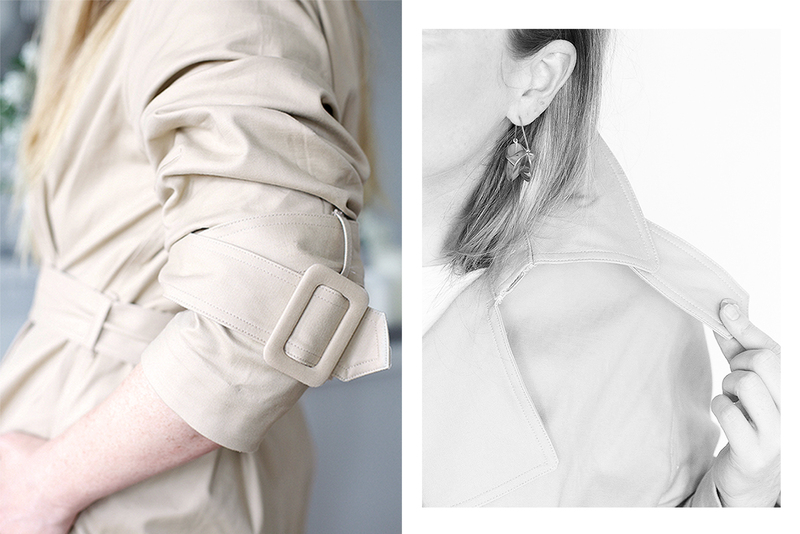 This entry was posted in fashion, hers and tagged H&M, trenchcoat, Weekday. Bookmark the permalink. Post a comment or leave a trackback Trackback URL. Liebe Marlene, ein wirklich schöner Mantel von HM, der Dir toll steht! Kannst Du mir sagen, wie er größenmäßig ausfällt? Normale HM-Größe? Vielen Dank vorab! Danke Dir! Ich hab ihn in meiner normalen H&M-Größe bestellt und finde ihn so perfekt. Er trägt sich allerdings oversized. Hoffe, das hilft weiter! Liebe Marlene, woher sind denn die wunderbaren Schuhe?